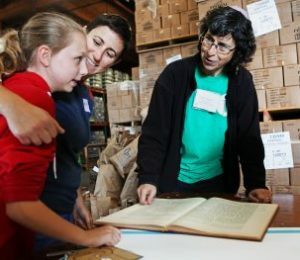 What is the Connection between Food Justice and Birkat Hamazon (The blessing after eating)? Most religions have a blessing to say before eating. Jews have a blessing both before and after eating. And the blessing after eating is long and complicated! Why? What are possible messages embedded in this lengthy blessing? What can this blessing teach us about food justice? Join Beth Huppin from Jewish Family Service for this interactive conversation. Bring questions. Bring friends. Bring a can of food for the JFS foodbank. Come by to Hillel to hear Beth Huppin of JFS teach about this often forgotten blessing, and then feel free to peruse the Hanukkah Crafts Market after.